The software to switch on/off the Amp^2 is already included with NanoSound plug-in for Volumio (Instructions to install here). Amp^2 is turned on by default by the plug-in. The code to turn on/off the Amp^2 is here for those interested. 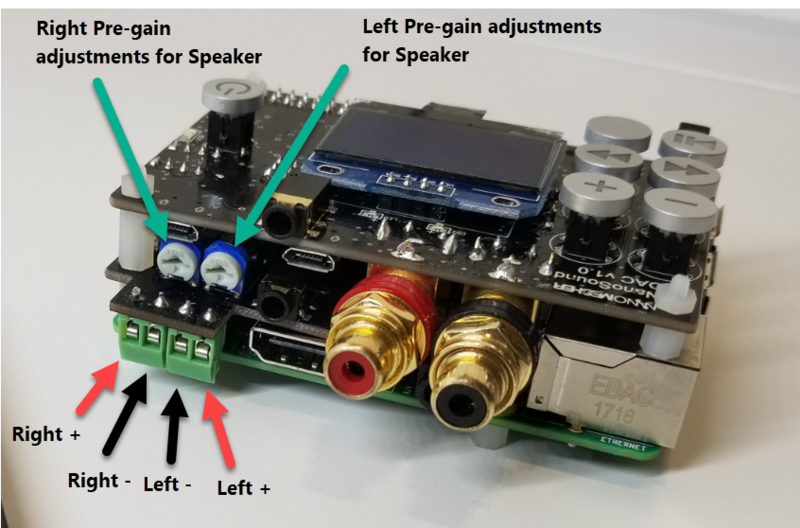 Q: What is the difference between the 3.5mm audio connector in the DAC and Amp^2? A: The one in the DAC is line output. The one in Amp^2 goes through a headphone amplifier and is intended for best audio quality with any headphone.